This article was originally published in the Journal for Colorado Water Institute. 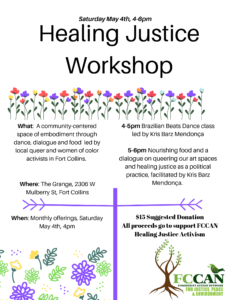 The Fort Collins Community Action Network (FCCAN), a social justice organization, has been involved in local water justice issues for over ten years. Our interest was first piqued in 2002 at the New West Fest (NWF) music festival. In the vendor information packet that year, the Downtown Business Association (DBA) included language prohibiting nonprofits from giving away free water because it undermined the efforts of their festival sponsor, Pepsi, who was to be the main provider of all beverages. The Rocky Mountain Bullhorn, a local alternative newspaper, rented a booth at the NWF that year and chose to give away water. Technically, because they were not a nonprofit, they were not breaking any rules. And in the true fashion of the Bullhorn, they invited people via a megaphone to come and get their “contraband water” for free. The label of the bottles they distributed included the quote from the DBA’s vendor agreement. The Rocky Mountain Bullhorn exposed the absurdity of business entities’ attempt to control what should be a free and accessible resource. Several years later, in June of 2008, while tabling at an event in Civic Center Park, we noticed that there were no drinking fountains in the park. Event organizers were selling bottler water for profit. On that hot summer day, many people were forced to purchase water (bottled by large corporations in plastic), something we believe should be freely available, not a commodity. FCCAN followed with a successful campaign to urge the Fort Collins Parks Department to install a drinking fountain at Civic Center Park. However, this fountain, like all of the others in the city at the time, had to be blown out and turned off in the wintertime. needs of the tens of thousands of attendees. People did not have adequate access to water that day. than it did to buy water throughout the sweltering day. of CSU’s fall semester and the return of students to Fort Collins. multiple sites around the festival. attractive feature for families, children, and dogs to splash in the water. But we noticed that the drinking fountain was not reinstalled in Old Town Square. Yet, several blocks away, at FoCo Café, a nonprofit-paywhat-you-can eatery, an intern named Kelly Connor spearheaded the effort to fund an outside hydration station accessible 365 days a year. It took over a year, but the ribbon was cut August 1, 2017. Unlike every other drinking fountain in the city of Fort Collins that existed at the time, the hydration station at FoCo Cafe is designed such that it does not need to be blown out and shut down in the winter. The Fort Collins Homeless Coalition (FCHC), an affiliate of FCCAN, then contacted the Fort Collins Parks Department to inquire about the possibility of installing a FoCo Café style hydration station in Oak Street Plaza. The plaza is designated a park rather than a downtown property, so the Downtown Development Authority does not have jurisdiction over the area. The FCHC met with Mike Calhoon, Director of the Fort Collins Parks Department, to discuss the prospect of getting such a hydration station installed. Calhoon went to work to research the details necessary to install a hydration station. 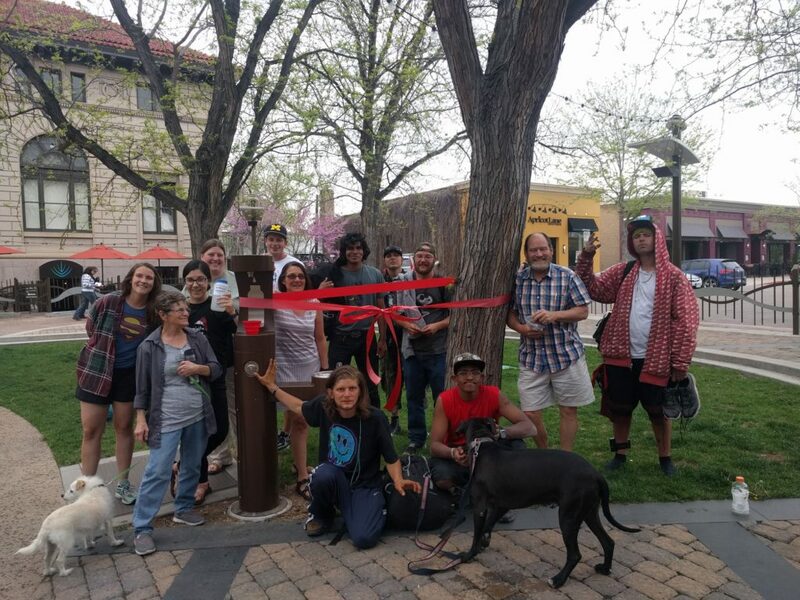 In May 2018, the Fort Collins Parks Department installed a year-round hydration station downtown in Oak Street Plaza. It includes a water bottle refill station, and continual access to clean and free drinking water. There were no barriers thrown up from the Parks Department; instead they jumped right into the project. The FCHC celebrated with “The People’s Ribbon Cutting (pictured below). In addition to access to clean water, access to public bathrooms is a significant issue in Old Town as well as in the rest of Fort Collins. The only 24/7 public bathroom in Old Town is located at the parking lot on Remington at the Oak Street Parking lot. This bathroom was closed every night before the FCHC lobbied for overnight access. There is another public bathroom in Old Town Square (the one in which Robenault invited us to fill up our water bottles), but it closes at 10:00pm.The other public bathrooms in the downtown area include the North Transit Center, Aztlan Northside Community Center, and City Hall. Yet, they are only accessible when the buildings are open. On the perimeter of Old Town, the Gustov Swanson Natural Area (between Catholic Charities and the Fort Collins Rescue Mission) has a bathroom. This facility was closed for over two years. Through persistent lobbying from the FCHC it reopened in June of 2016. Yet the bathroom is closed from dusk to dawn, and in the winter months, that is most of the time. The FCHC is working to extend those hours. We are also lobbying City Council to open a 24/7 public restroom at the Horsetooth MAX bus stop. 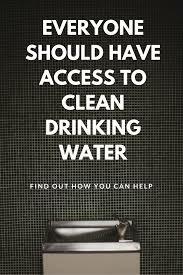 Access to water and sanitation is an essential human right. This right is enshrined in the Paul Simon Water for the Poor Act of 2005, emphasizing access to water and sanitation in developing countries. However, access to water and sanitation is an issue in our own backyard. Fort Collins has the resources to build more restrooms and year-round water fountains, yet we are still in a continuous battle to access these resources. Not having access to 24/7 restrooms is not only a human rights issue, but also a medical issue. According to the CDC, there have been several outbreaks of hepatitis A among the homeless populations of several U.S. cities that have been directly correlated to a lack of access to 24-hour restroom access . When people lack access to wash their hands, disease will spread. Using the restroom is something that all humans need and limiting access to clean water and 24/7 bathrooms does not change that fact. Rather, it creates issues of inequity and public health for communities. We, as a community, need to come together to fight against the blockades bordering our human rights for water and access to restrooms.